Complete for getting started in the world of digital. This is a starter set for a variety of play options: a freight train with a diesel locomotive, a low side car, and a stake car. 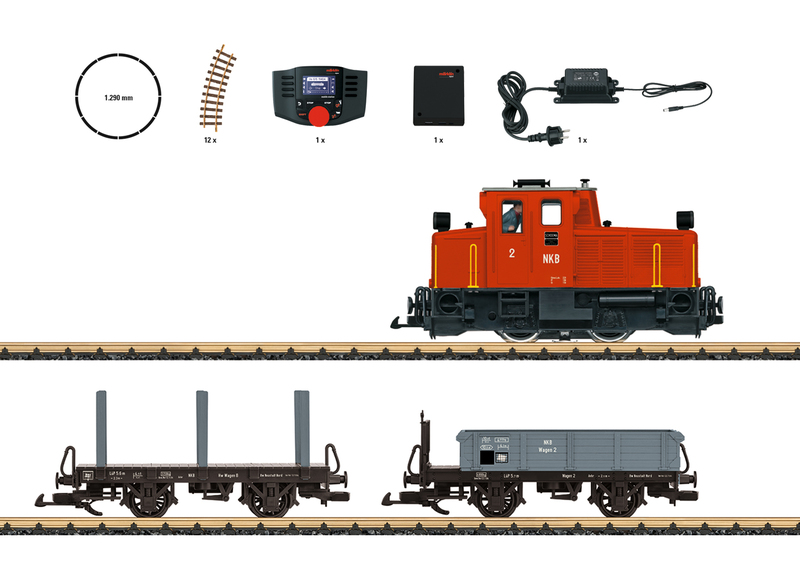 The locomotive has a powerful Bühler motor and an mfx/DCC sound decoder that can be used to control many light and sound functions in digital operation. The headlight and the running sounds will also work in analog operation. A Mobile Station is included with the set as a digital controller as well as a power supply and a circle of track. Length of the train over the buffers 77 cm / 30-5/16".